Rembrandt van Rijn, "Juno," c. 1662-65. Oil on canvas. The Armand Hammer Collection. Gift of the Armand Hammer Foundation. 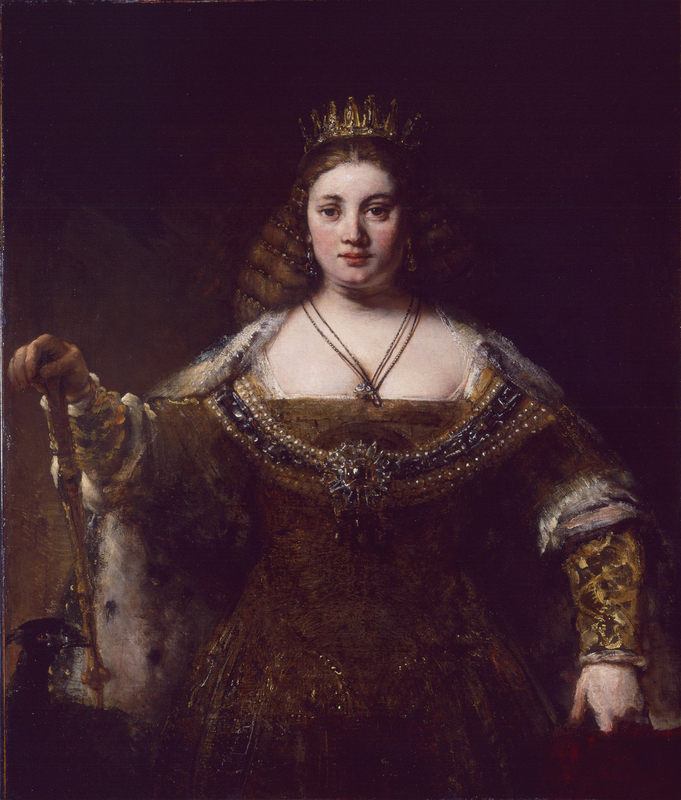 A group of five Los Angeles art museums have unveiled a virtual exhibition highlighting Southern California holdings of paintings by Rembrandt Harmensz. van Rijn (1606–1669). The product of a groundbreaking collaboration, a dedicated web site—Rembrandt in Southern California—has been created by the J. Paul Getty Museum in collaboration with the Hammer Museum, and the Los Angeles County Museum of Art (LACMA) in Los Angeles; the Norton Simon Museum of Art in Pasadena; and the Timken Museum of Art in San Diego, all working in concert. Unlike the limited duration of the average museum loan exhibition, this collective effort of displayed works continues indefinitely. Rembrandt in Southern California comprises 14 paintings that are on view in five Southern California museums with an especially strong representation from the artist’s dynamic early career in Leiden and Amsterdam. Unlike the limited duration of the average museum loan exhibition, this collective exhibition continues indefinitely, on view in the "greater museum of Southern California"—a term coined by Scott Schaefer, senior curator of paintings at the J. Paul Getty Museum to refer to the communal holdings of art in the region. "It may come as a surprise to most people that Southern California has the largest collection of Rembrandt paintings in the United States with the exception of New York and Washington," states Schaefer. While Southern California is acknowledged as a vibrant center for modern and contemporary art, Rembrandt in Southern California emphasizes the significance of the region's collections of important older works of art. Rembrandt’s marvelously executed and emotionally effective paintings have been avidly sought by Southern California collectors and museums. Remarkably, these works were acquired within just 70 years, beginning with J. Paul Getty’s purchase of Portrait of Marten Looten in 1938 (given to LACMA in 1953). 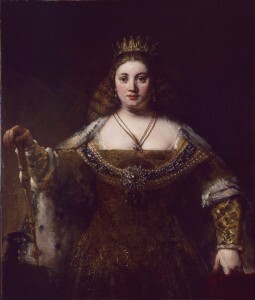 Important long-term loans, such as Portrait of a Girl Wearing a Gold-Trimmed Cloak, lent to the Getty by a private collector in 2007, contribute further to the group. Together these works attest to the extraordinary range of Rembrandt’s achievement across his long career. The Rembrandt in Southern California Web site provides information and tools to explore the exhibition. Essays regarding each painting with points of comparison, a specially created audio tour featuring curators from all five institutions, and information regarding ongoing related programming are included. A printable guide featuring the painting essays, as well as a version of the audio tour for iPods and other MP3 players may be downloaded. As each institution develops related programming (such as tours, lectures, and exhibitions) that information will be added to the Web site. One of the first regarding a museum exhibition, a Wikipedia entry on Rembrandt in Southern California has been created to document this unique undertaking, to provide historical context about collecting in Southern California, and to encourage public participation in this project. See Suzanne Muchnic's December 3, 2008 article in the Los Angeles times on Rembrandts in Southern California.